If Napoleon Dynamite made moon boots cool for a few, Macklemore’s new single “Thrift Shop” has made thrift store treasures, well, cool for everyone. I’m sure you’ve heard the song by now—it’s been at the top of the charts for over seven weeks. (If you haven’t heard it yet, check it out on YouTube. Warning: some adult language.) The song is incredibly catchy, and it’s sure to get stuck in your head. But what stands out more than the funky beat and pulsing horn hook is the message. It’s about shopping at a thrift store. It’s about wearing your mammy’s hand-me-downs instead of a $50 Gucci t-shirt. It’s about saving money. And the people love it. Macklemore is an independent rapper from Seattle. He and producer Ryan Lewis have been a duo since 2000. For more than a decade, they have quietly built a following, playing local shows around the Pacific Northwest. They saved up their money and independently produced their first studio album, “The Heist,” last October. The hit single “Thrift Shop” has since gone quadruple platinum, and clocks in at roughly 146 million views on YouTube to date. That’s half the population of the United States. 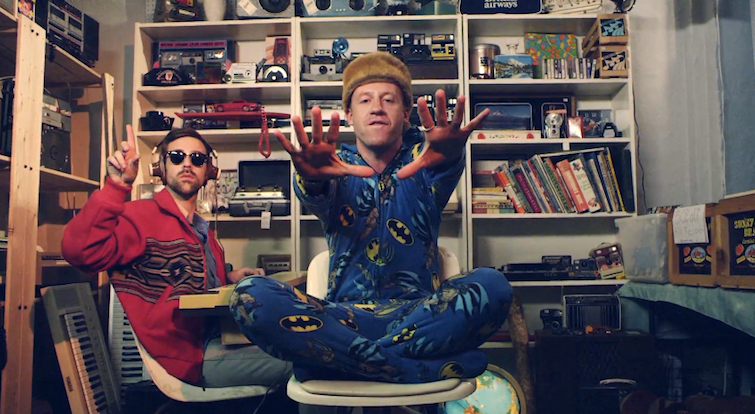 Again, this is a rap about wearing used pajamas. Not only is the message unique, but Macklemore and Lewis pretty much did it on their own. They have achieved this success with only marginal distribution help from a major label. It’s just the second time in history that an independent artist has topped the Billboard Top 100, and the first time in 20 years. Well, certainly social media and the digitization of music helped. People have greater access and sharing capabilities than ever before. But at a deeper level, culturally, how did this happen? Hip-hop is supposed to be about gold teeth and Cadillacs, and popular music should be fun and superficial, right? Macklemore and Lewis are questioning consumerism and crossing norms. Based on the song’s success, the message seems to resonate. Perhaps thrifting is not only for hipsters, the poor, and Napoleon Dynamite. Perhaps rappers can be socially conscious. And perhaps our culture is ready to embrace a second look at consumerism. “It’s my fight, personally, first and foremost, so I don’t go into it thinking, like, I want to change people’s minds or I want to change hip-hop. I go into it thinking, why do I feel the need to consume? Why do I have a closet full of Jordans that I don’t really even wear? So it starts with a personal search and then it translates into an audience. People can identify with this. It’s refreshing to not be preached at. Not to be told what to buy, think, and do. I think that’s why the song has become such a success. It doesn’t force anything on you, but it allows you to live up your thriftiness at your own leisure. 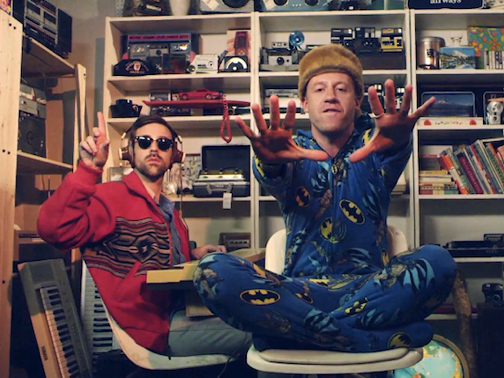 People want thriftiness to be cool, and thanks to Macklemore, it’s off-the-charts awesome. Ryan Dwyer graduated from the University of Nevada, Reno, with a bachelor’s degree in Psychology and a minor in Philosophy. He is currently an intern at New Dream.